According to esoteric and mystical philosophies, the third eye offers a route to a higher state of consciousness. 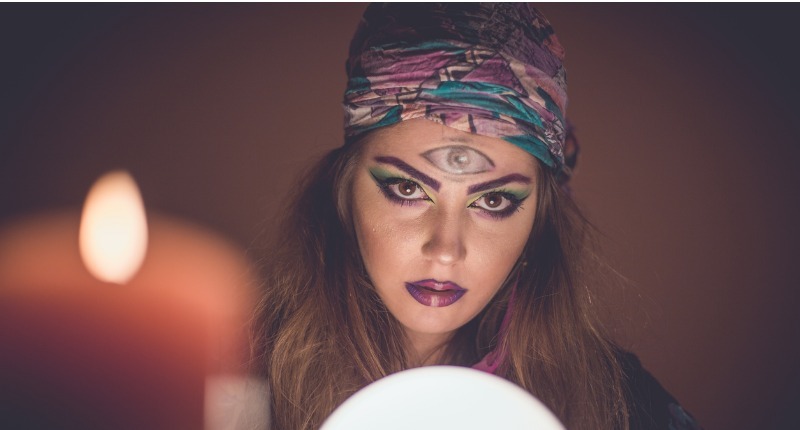 In societies around the world since ancient times, the third eye has been conceptualized as a symbol of enlightenment, clairvoyance and out-of-body experience. Moreover, many ancient societies associated the third eye to one particular part of the human body: the pineal gland. The pineal gland is found in the brain, and takes its name from the pine cone, due to its distinctive cone-like shape. We now understand it as an endocrine gland that secretes important hormones such as melatonin, and helps in the modulation of sleep patterns. Throughout history, the pineal gland has been associated with the third eye, and is thought by some to be the point of access to higher states of consciousness. In Hindu mythology, for example, the third eye is depicted as a giant eye in the middle of the forehead, representing enlightenment. Accessing the third eye is a way for the subject to attain higher realms of existence. According to the Stanford Encyclopedia of Philosophy, some ancient Hindu thinkers believed that the connection between the pineal gland and the third eye was a sign of its physical presence within the body. 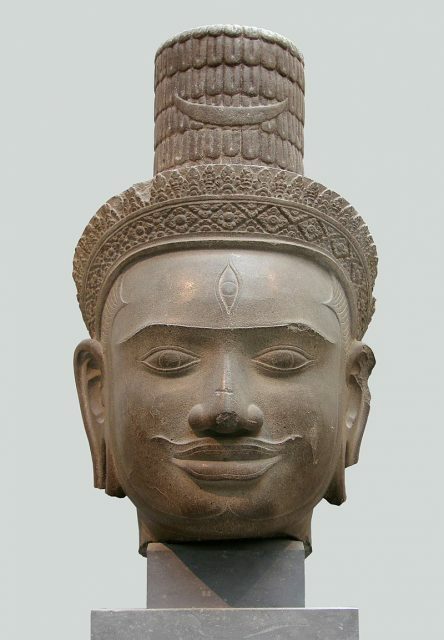 A Cambodian Shiva head showing a third eye. 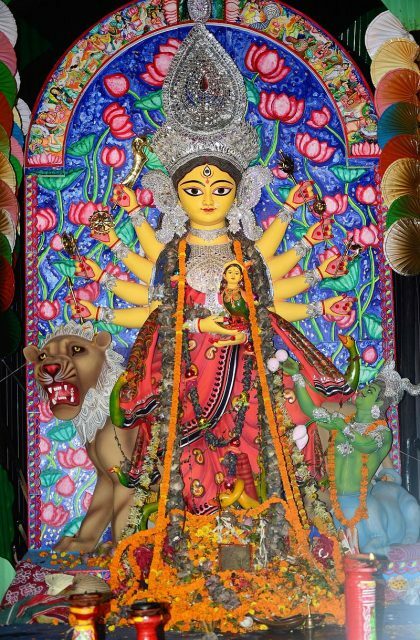 This link is also reflected in the visual iconography associated with the Hindu deity Shiva. His wild hair is often depicted wrapped in snakes, creating a pine cone effect that strongly resembles the pineal gland and associated images of the third eye. The presence of snakes is important as according to Hindu mythology they often point to the chakras, the focus points of the body used in Hindu and Buddhist spiritual practice. In particular, the Ajna chakra, which is associated with guidance, is thought to be located in the brain, right at the point between the two hemispheres where the pineal gland is found. References to the pineal gland are also found in Egyptian mythology. The eye of Horus and the eye of Ra both take an important place in Egyptian iconography, and bear a striking resemblance to the pineal gland as it is situated in the brain. 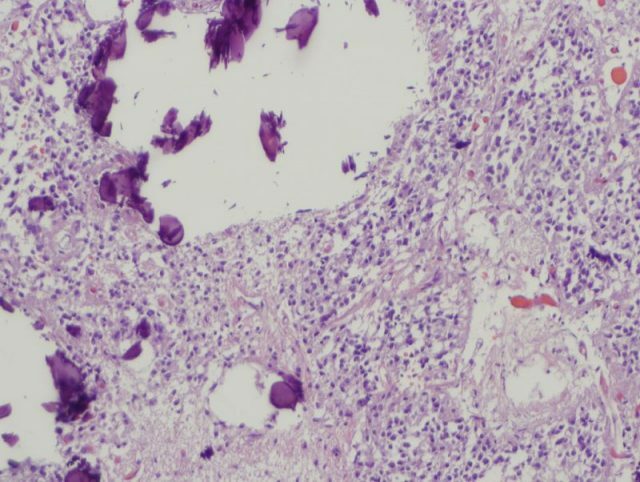 Once again, these images are also often associated with snakes, emerging from the gland and the center of the forehead, indicating wisdom. 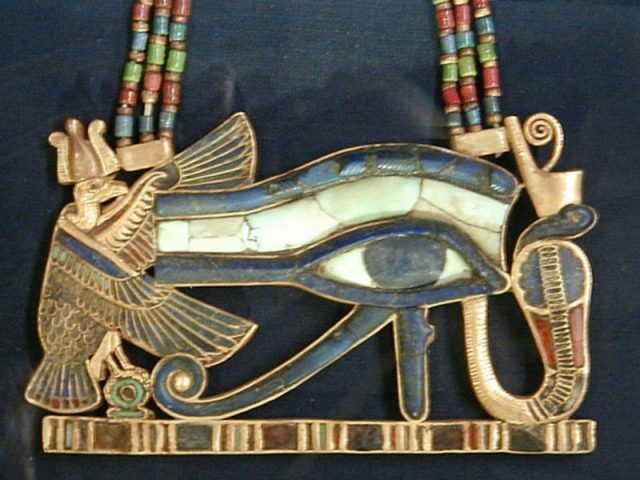 An Eye of Horus or Wedjat pendant. The pine cone is often found in many different cultures as a symbol of wisdom and insight, and some historians believe that this is due to its association with the pineal gland. Pine cones are used to indicate authority and power in images of the Sumerian gods, and may also be found in depictions of Dionysus in Greek mythology. 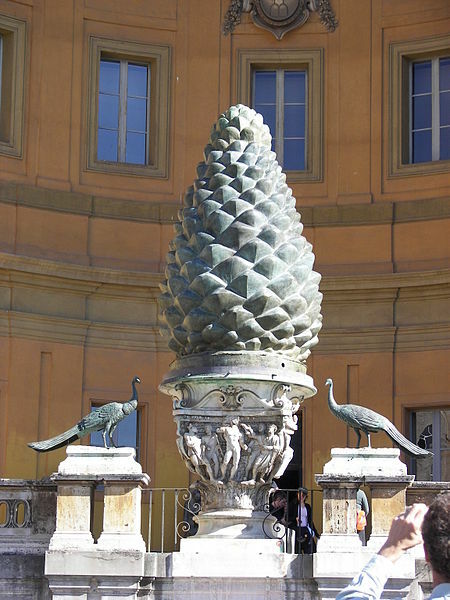 In Egyptian iconography it is often found on the staff of Osiris, and there is even an enormous pine cone statue at the Vatican in Rome, originally part of an ancient Roman temple to the Egyptian goddess Isis. These associations of the pine cone and the pineal gland with wisdom, transcendence and visions connect it strongly to corresponding ideas about the third eye. The pineal gland was celebrated as the third eye in many ancient cultures. 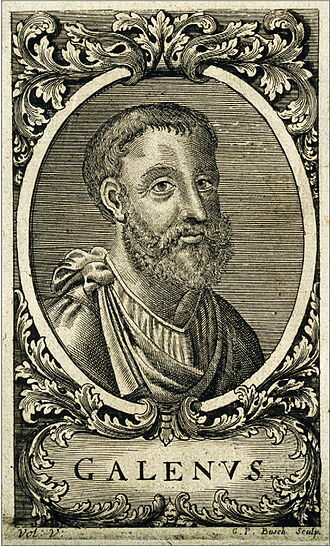 However, the Greek physician Galen, who would heavily influence the development of Islamic and Western medicine, argued against the prevailing view of his time. Galen’s contemporaries believed the pineal gland to be involved with the circulation of psychic pneuma, the substance in the body that sustains consciousness. However, Galen was not satisfied with this explanation, and instead suggested that the gland regulates blood flow. This view persisted in the West until the 17th century, when French philosopher René Descartes put forward his theories about the relationship between body and soul. According to the Stanford Encyclopedia of Philosophy, for Descartes the pineal gland was “the principle seat of the soul,” and the point in the body that connected it to all thought. This was the aspect of human existence that permitted the mind to take over animal instinct and reflexes, allowing the mind to connect to the body. Although Descartes’ theories on the pineal gland were never fully accepted by his contemporaries, they represent an important philosophical attempt to conceptualize the relationship between mind and body. Today, the pineal gland continues to hold a deep fascination for practitioners of New Age spirituality, and many believe that it holds the key to activating the third eye. Moreover, scientists and neuroscientists continue to investigate its role in regulating circadian rhythms and our relationship to light and changing seasons. It seem that this unique part of our brains has yet to reveal all its secrets.